Choose from 1.5", 2", 2.5", and 3" thick cuts. Case sizes and weights vary with choice. 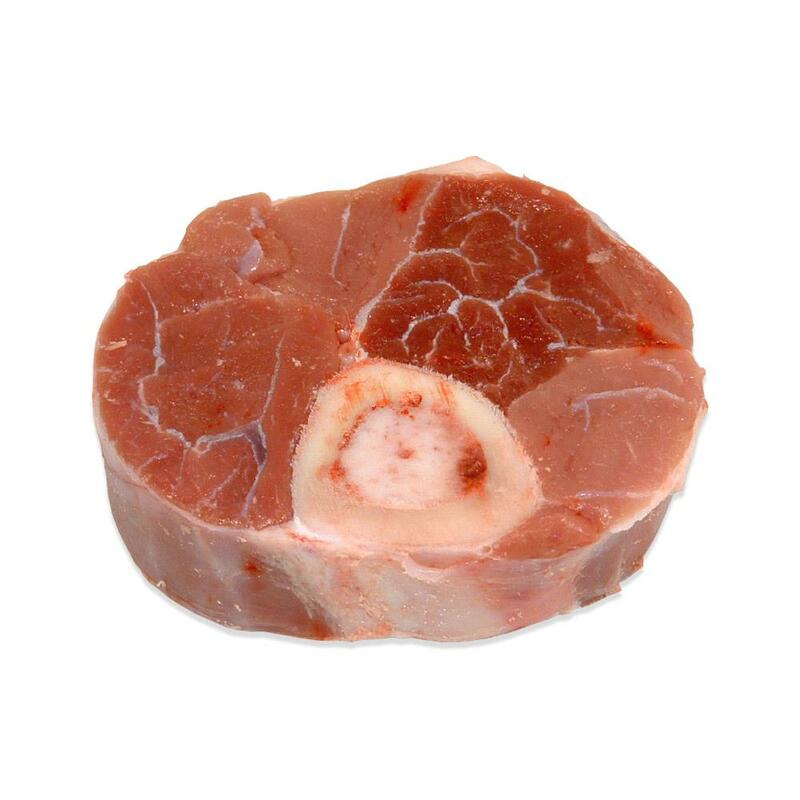 Osso bucco is a flavorful braising cut from the leg - a disk of meat surrounding a portion of leg bone. Once braised the meat becomes exquisitely fork-tender. Hindshank osso bucco is typically considered more desirable than foreshank osso bucco. Its bone is circular and wider than the foreshanks' oval-shaped bone. It will occupy more plate space and will appear as a larger portion than a foreshank cut to the same thickness. Despite having a larger bone, there is a comparable thickness of meat surrounding the shank bone. 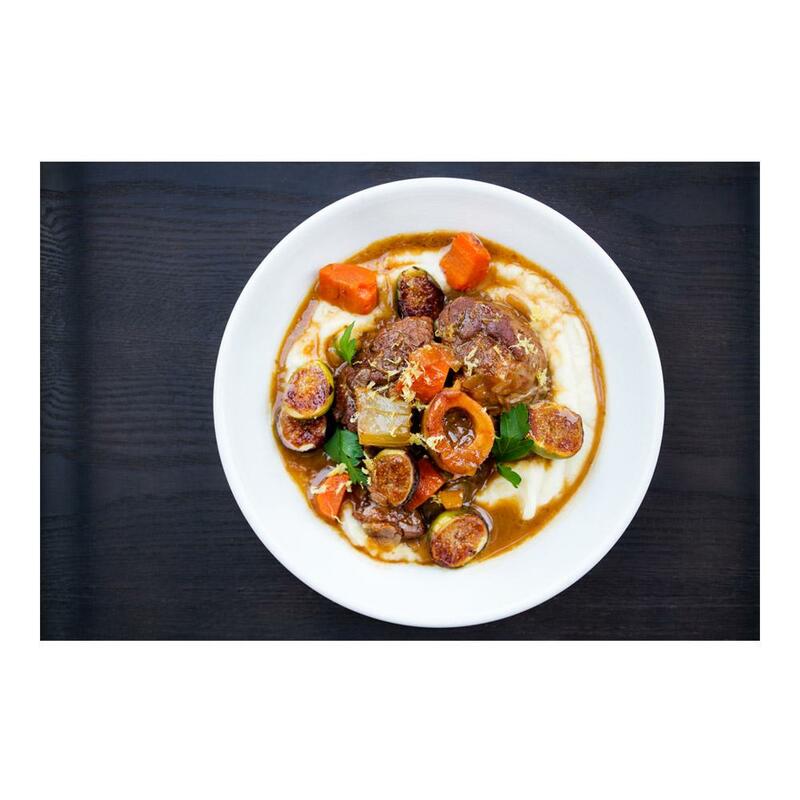 Note: The number of pieces in a case of osso bucco can vary as they are packed by weight rather than piece count. Please contact us for more information & advice. Store veal osso bucco portions in your freezer until you're ready to use them, then remove and thaw as many as you need. Osso Bucco is usually braised for 2-4 hours until the meat is fork tender and falling off the bone. Traditional flavor affinities include porcini mushrooms, oranges, garlic, cumin, truffles, lemons, and cilantro. These osso buccos are awesome... and huge... the ones I got were the 2 1/5” ones and were all the same cut place on the shank (which was near the knuckle) and averaged 24 oz a piece.....The issue I had with this is that I needed 11 for a dinner an there were six in the box...I called Marx to try and find out how many would be in the box before I ordered but because of the variance in the shank size depending on where it was cut they can vary quite a bit so they could not give me a number…. I am leaving this review to help establish how many would be in a box for the next person who orders them….